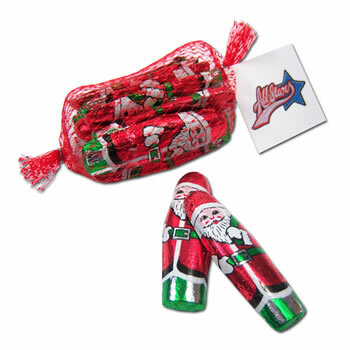 Chocolate Fingers, foil wrapped in a santa print. Can be personalised on the swing tag with your corporate details. Minimum Order: 100. Shelf Life: 9-12 months.